Keith Allen Thompson, 40, appeared before Judge Harold Erwin in Jackson County Circuit Court Wednesday, Aug. 8, where he pled on charges of Theft of Property, Criminal Trespass, and Criminal Mischief First Degree. 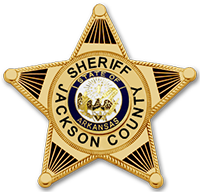 Charges were filed against Thompson after a report was filed with the Jackson County Sheriff’s Office in January that a crane had been vandalized with parts and batteries stolen. I think the admin of this web page is genuinely working hard in support of his site, as here every material is quality based stuff.